£13.5m-rated Barcelona ace the perfect competition for Tosun at Everton | The Transfer Tavern | Where football transfer rumours fly or die! Everton have recently been linked with Barcelona defender Yerry Mina as they look to get the ball rolling in the transfer window this month. And, according to SPORT, the Merseyside club could also look to bring in Mina’s team-mate Paco Alcacer. Much talk this summer in regards to Everton’s transfer window has been mostly about the potential arrivals of a left-back and centre-back. Manager Marco Silva, though, as reported by SPORT, is clearly interested in strengthening his attack as well as defence, and Alcacer would be a very clever signing in that sense. Everton need an alternative to Cenk Tosun up front. Someone who does not blow hot and cold like Oumar Niasse and is better in front of goal than Dominic Calvert-Lewin. 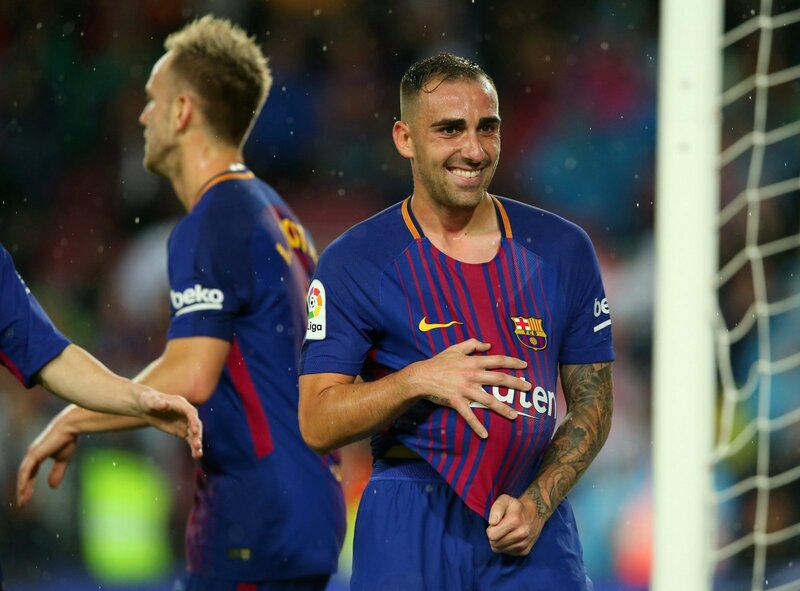 Alcacer, who is valued at £13.5m by Transfermarkt, could be the solution. Despite some struggles at Barcelona, the Spaniard still possesses the ability to become a very good No.9. At Valencia, Alcacer was one of the most promising strikers in La Liga, scoring double digits in consecutive seasons at such a young age. The Barcelona forward is a brilliant finisher, who at times, had been trusted by Vicente del Bosque to lead the line for the Spain national team ahead of the likes of Diego Costa and Alvaro Morata. While his move to the Camp Nou has not quite worked out, Alcacer is a goalscorer that Everton should be chasing.